A key factor in selecting the Atlassian tools was the availability of a cloud solution, enabling a more streamlined process working with external development partners. This has enabled collaboration ?exibility with partners and vendors to signi?cantly contribute to increased productivity and results. Apart from Atlassian tools used for implementation, Confluence, Jira Software, Jira Service Desk, and Jira Core, Blended Perspectives worked with additional software partners including //Seibert/Media - Draw.io, Comalatech, Easy Agile, SmartBear and SoftwarePlant. 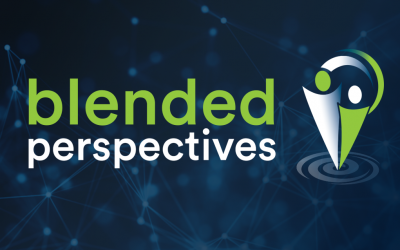 Blended Perspectives is Canada's largest Atlassian Platinum Solution Partner, providing consulting, managed hosting, installation, data migration, performance tuning and certified Atlassian training. We have deep expertise in all Atlassian products with certified experts covering the full lifecycle for SDLC, Service Desk and broader business application support. Founded in 2007 after years of experience serving clients in Canada, Europe, USA and Australia, Blended Perspectives' mission is to enable corporations to unleash the power of their teams and to leverage the true potential of their businesses via enhanced tools and processes. Equitable Bank (EQ Bank) is a Canadian bank founded in 1970. The bank provides residential and commercial real estate lending services. In 2013, it became a Schedule I Bank o?ering savings products. It is now Canada's ninth largest independent bank, with more than $25 billion in assets under management.